↑ Brandon, James R., सं (1993). On thrones of gold: three Javanese shadow plays. University of Hawaii Press. आइएसबिएन 0-8248-1425-8. Brandon, James R., सं (1993). On thrones of gold: three Javanese shadow plays. University of Hawaii Press. आइएसबिएन 0-8248-1425-8. Brockington, John (1998). The Sanskrit Epics. Handbook of Oriental Studies (Handbuch Der Orientalistik part 2). 11. Brill Publishers. आइएसबिएन 0-19-565025-5. Reviewed by Alf Hiltebeitel in Indo-Iranian Journal 43 (2000): 161–169. Buitenen, Johannes Adrianus Bernadus van (1973). The Mahābhārata. 1. University of Chicago Press. आइएसबिएन 0-226-84663-6. https://books.google.com/?id=V7QBbkhaxp0C. Dikshitar, V. A. Ramachandra (1951). The Purāṇa Index. 1. Delhi: Motilal Banarsidass Publ. आइएसबिएन 81-208-1273-5. Elmore, Wilber Theodore (2003) [January 1915]. 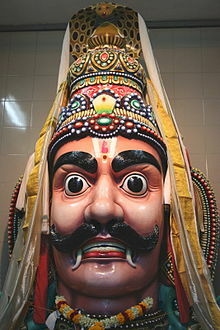 Dravidian Gods in Modern Hinduism; A Study of the Local and Village Deities of Southern India. Kessinger Publishing. प॰ 18. आइएसबिएन 978-0-7661-3871-1. https://books.google.com/?id=s21S-Cmq03UC&pg=PA18&dq=Aravan. Florida, Nancy K. (1995). Writing the past, inscribing the future: history as prophesy in colonial Java. Duke University Press. आइएसबिएन 0-8223-1622-6. https://books.google.com/?id=JtXWqGzfzGgC. Florida, Nancy K. (2000). Javanese Literature in Surakarta Manuscripts. 2. South East Asia Program. आइएसबिएन 0-87727-604-8. https://books.google.com/?id=Id4dj7txArMC.